A rollover energy contract is all too easy to fall into and can often lead to higher rates and bigger gas and electric costs for your business. However, rollover contracts are easy to avoid and you have legal rights which are on your side to help you. When your energy contract is due to finish, you need to cancel it within the set time period otherwise your energy supplier are within their rights to automatically sign you up to a new contract and new – usually higher – rates. This is what is called a ‘rollover’ energy contract. The new contract you end up with will not be good value for money or a competitive tariff, and you’ll be stuck with it for at least one year. How can you avoid being rolled over? If your supplier continues to operate a rollover energy contract and your business is a macro business, you can avoid being automatically rolled over by providing termination notice to them in line with their policies. Regardless of when you terminate (as long as you do), Exchange Utility can secure you a new contract anything up to 6 months before your contract end date. You won’t be able to start this contract before your current one finishes but you will be able to lock in your prices at the earliest opportunity so that when you see a good deal, you can act to secure it. If, for whatever reason, you terminate your contract with your current supplier but do not agree a new contract with them or another supplier before your end date then you will have to pay out-of-contract rates. These are very punitive rates designed to force you to agree a lower priced, but still premium priced fixed term contract with the supplier. I have been put on a rollover energy contract – What do I do? If you have been rolled over, sadly, it’s too late in most circumstances. There is little you can do. This is why a rollover energy contract can be so frustrating to businesses who have found themselves on higher rates who have missed the opportunity to terminate or negotiate. However, even if your supplier won’t release you from your contract, Exchange Utility will work with your supplier to negotiate backdates for customers caught by rollover terms. However – not all suppliers offer this and not all customers are eligible. If the worst happens and you are rolled over and you are certain that you didn’t receive a renewal letter before your contract was due to end, then you have grounds to argue the case with you energy supplier. For most rollovers you will be locked in for the full 12 months and it becomes important to make steps to ensure that this doesn’t happen again. Immediately terminate your contract as soon as you become aware you have been rolled over and contract Exchange Utility with your new contract end date. We can then line up a deal for you well in advance of the next deadline and make sure you don’t rollover again. If further help is needed, the Citizens Advice consumer helpline can offer advice if you’re having trouble paying your energy bills or if you’re not happy with the payment plan options your supplier is offering you. So what are the rules given to suppliers regarding rollover energy contracts? Rollover might seem unfair, but it isn’t against the law and it doesn’t break any rules. ✓ Around 60 days (but no longer than 120 days) before your contract is due to end, your energy supplier must send you a letter telling you the details of your renewal offer and the contract will be rolled on to if you fail to act on your renewal. 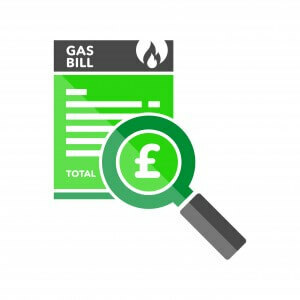 ✓ Once you’ve received your renewal, you will then have a defined period in which you need to tell your energy supplier that you don’t want to accept the tariff you were offered. This period is specific to each supplier, visit our dedicated supplier pages to understand the notice period your supplier needs to prevent you being rolled over. You can also identify which suppliers operate a rollover policy and which do not in our dedicated supplier pages. Want to see how we have helped our customers to save? Check out our business energy case studies pages to find out how our service have benefited other businesses in your sector. Still stuck and need help with your energy contracts? Call free and speak to an Exchange Utility expert on 0800 9777 000 or email care@exchangeutility.co.uk and we can help you to make sense of your rollover contract. You can also visit our energy FAQs page which covers everything you need to know about your energy contracts and how we can help!